The holiday season is officially upon us and Santana Row is being lit up tomorrow. Their tree along with tens of thousands of other lights will illuminate the row. The event starts with a scavenger hunt at 3pm ($250 prize) followed by musical performances. 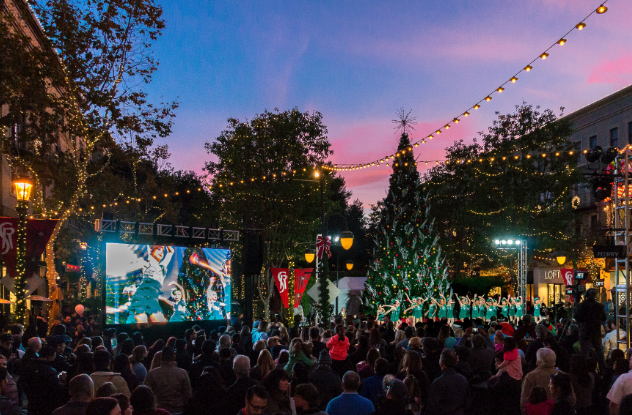 The tree lighting ceremony starts at 7pm with the lighting itself happening at 7:30pm tomorrow.